Look for ECOs the next time you shop for eyewear. 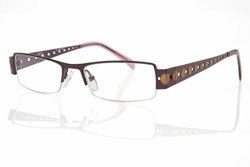 ECO stands for EARTH CONSCIOUS OPTICS, a new earth-friendly line of eyewear. Eco is the first and only optical and sunglass collection made with 95% recycled materials. ECOs come in all kinds of fashion colors (not just green!) and are made from a minimum of 95% recycled stainless steel or 95% recycled plastic. Eco received an Environmental Claims Validation™ (ECV) from UL Environment (ULE), a wholly-owned subsidiary of Underwriters Laboratories (UL), a world leader in product evaluation. The ULE validation substantiates Eco's assertion that the eyewear is made with 95 percent recycled stainless steel and plastic. ULE applies a rigorous, independent process to validate environmental claims such as recycled content. An Environmental Claims Validation from ULE indicates that eco's green claims have been validated as accurate by the independent, third-party organization. "With so many products in the marketplace making green claims, we felt it was absolutely necessary to give our customers a higher-level of reassurance that we are truly committed to sustainability," said Alessandro Lanaro, CEO of Modo. "We are very proud to receive an official validation from UL Environment, an organization that consumers truly trust." As a UL subsidiary, UL Environment brings 115-years of experience in testing, certification and standards development to the environmental products industry. Once a product has been validated through the ECV program, the manufacturer is allowed to use the ECV logo on its packaging. Consumers who see the ULE ECV logo can be confident that the product has met specific and measureable guidelines to support environmental claims. Eco plants a tree for every frame sold. Eco gives support to Trees for the Future, a leading nonprofit organization, which integrates tree-planting into agriculture and land restoration projects providing countless, sustainable benefits to our Earth and to the life upon it. 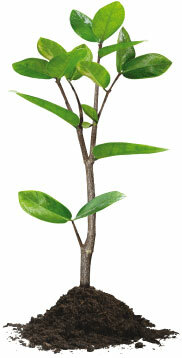 Eco established the one frame one tree program and plants a tree for every frame sold. Not only do trees bring life back to degraded lands, but they also create better conditions to grow food, provide people with a means to generate income, and mitigate climate change through sequestering carbon dioxide. Trees for the Future works on eight country programs including Cameroon which is where the donations for Eco are dedicated.